Actor Shia LaBeouf was arrested in New York after an altercation at an anti-Trump art installation. Video of the alleged attack shows LaBeouf pushing a man after he made a comment about Hitler into a camera. Video of the arrest shows him being handcuffed by police as participants repeat the phrase into the camera. Following his arrest, the hashtag #FreeShia was used on Twitter to support his release. LaBeouf was released early on Thursday morning, though it's unclear at this stage whether the actor has been charged. 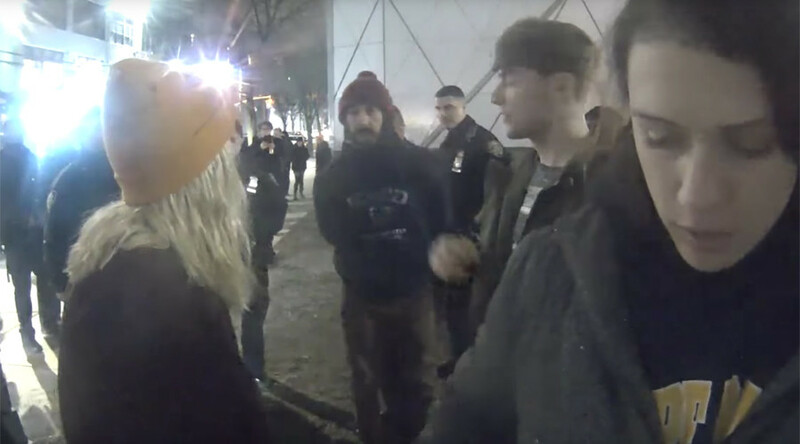 Previous video from the live stream shows a heated LeBoeuf at the site shouting down an alleged white supremacist who attempted to sabotage the installation. Another video shows him licking the face of a counter protester. This is his third disgusting assault. He's licking a counter protester's face here.